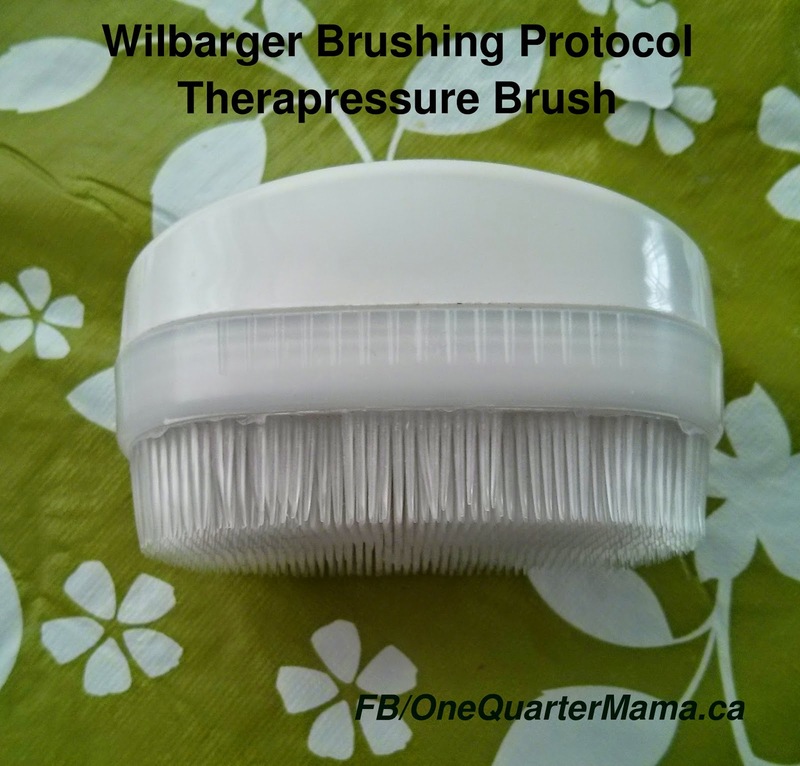 We've been doing the Wilbarger Brushing Protocol with the Little Man for almost a month now. The Wilbarger Brushing Protocol, also known as the "Brushing program," or just brushing, for short, is a therapy for sensory processing issues that was created by occupational therapist, Patricia Wilbarger. It's used for people who are tactile defensive, and can be part of a wholistic sensory diet. The Little Man is an interesting mix of sensory seeking and defensive, and it contributes greatly to his anxiety. It has caused a lot of problems with eating (limited textures, gagging), speech and general motor skills. After 2-3 weeks of daily therapy, the OT will re-assess the person and see whether it should be continued or tapered off. I had heard a bit about it before this was proposed for the Little Man (it was proposed for me and my SPD, but I couldn't find an OT to teach me when I looked). There's not tons of science or studies backing this practice up. Nevertheless, we went into it with an open mind, figuring it doesn't hurt anyone (it feels really nice actually!) and the brush cost us $5. Our OT set up the schedule and with the help of the staff at school, we've been doing it daily on the Little Man. To our great surprise, we've noticed A LOT of changes very quickly. I think that him being less anxious means he is better able to relax and eat. I know I spent a great deal of my childhood very anxious and eating was very anxiety-provoking to me. Also, when you can't handle all the different things assaulting your senses all at once, it's hard to find a sense of predictability or stability in the world. The world feels very dangerous to someone with SPD - or at least it did for me growing up and I'm pretty sure my son has experienced a similar sentiment. As a bonus, the Little Man seems to really enjoy being brushed and the OT agrees with the results we've been seeing, so we're going to continue for the next few weeks. If you know a person who is tactile defensive with Sensory Processing Disorder and/or is Autistic, brushing is a therapy that doesn't take a lot of time or investment to try and see if it will help. It's just one part of a well-rounded OT program and easy to do at home.